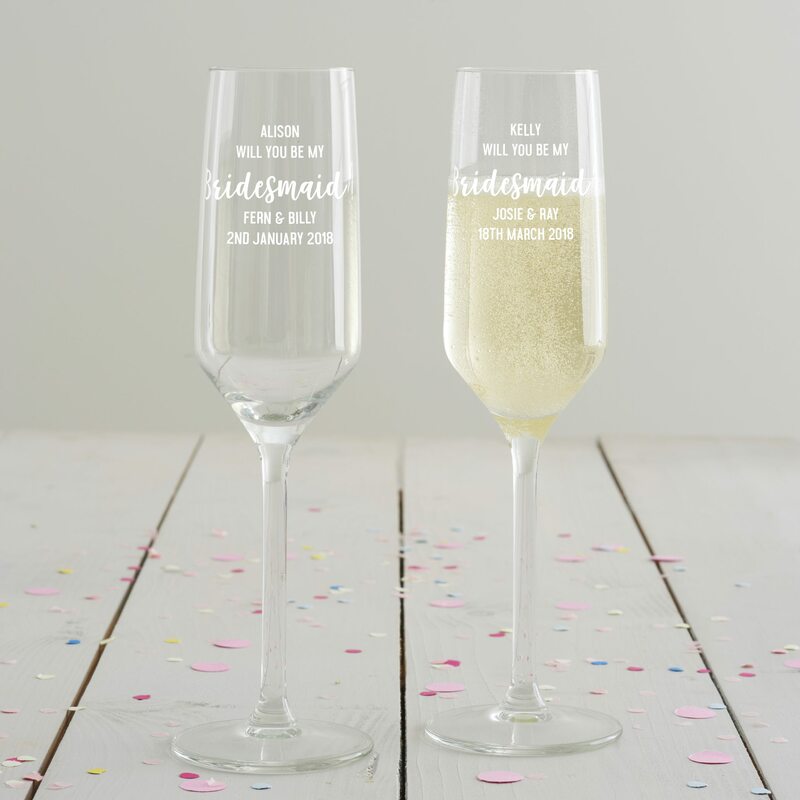 A witty, personalised champagne glass etched with a measure line. 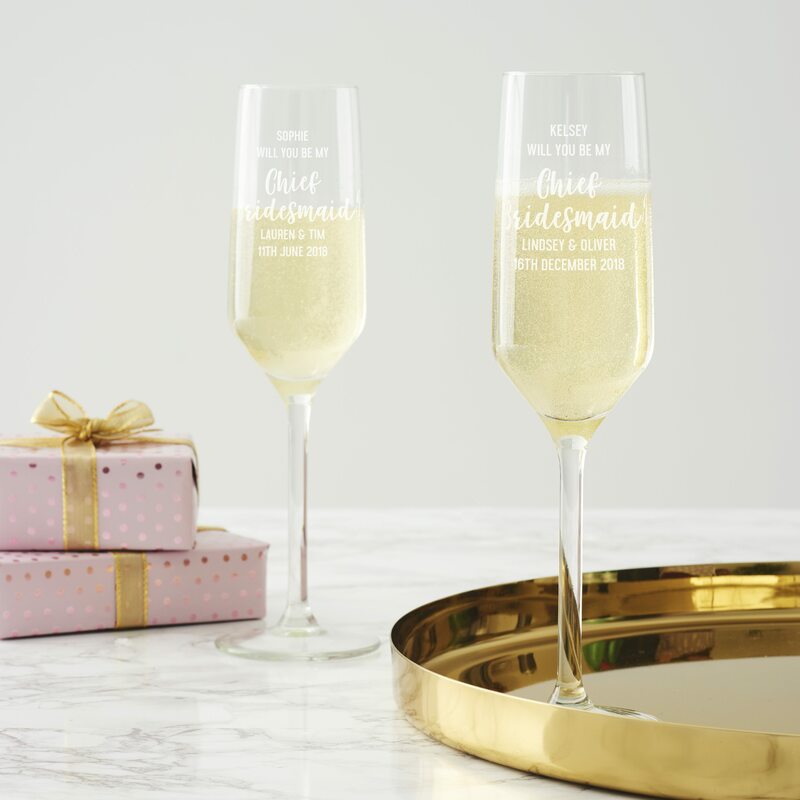 Treat someone you love to their own personalised champagne flute. 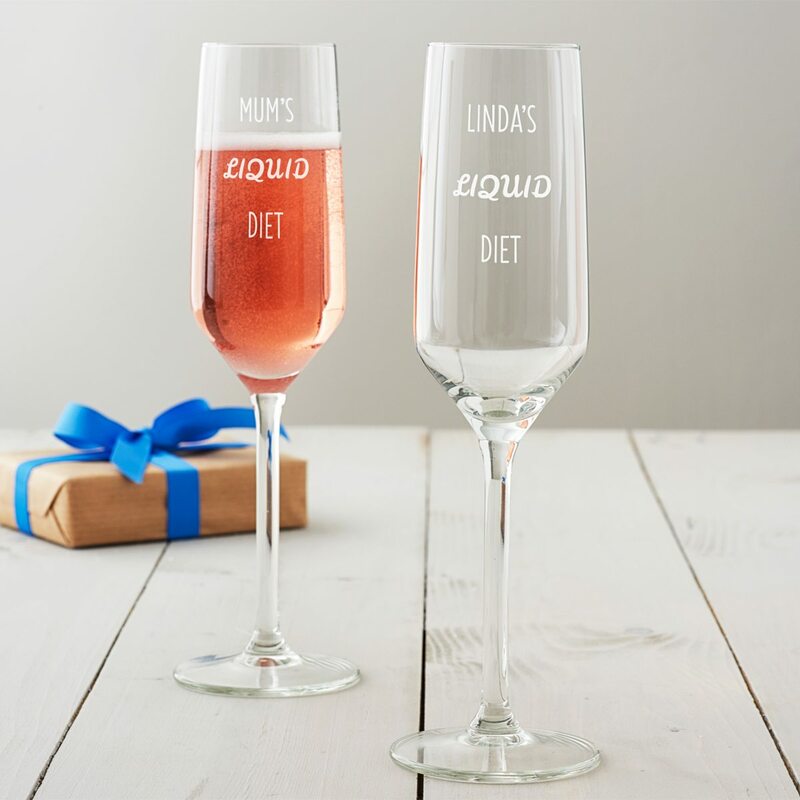 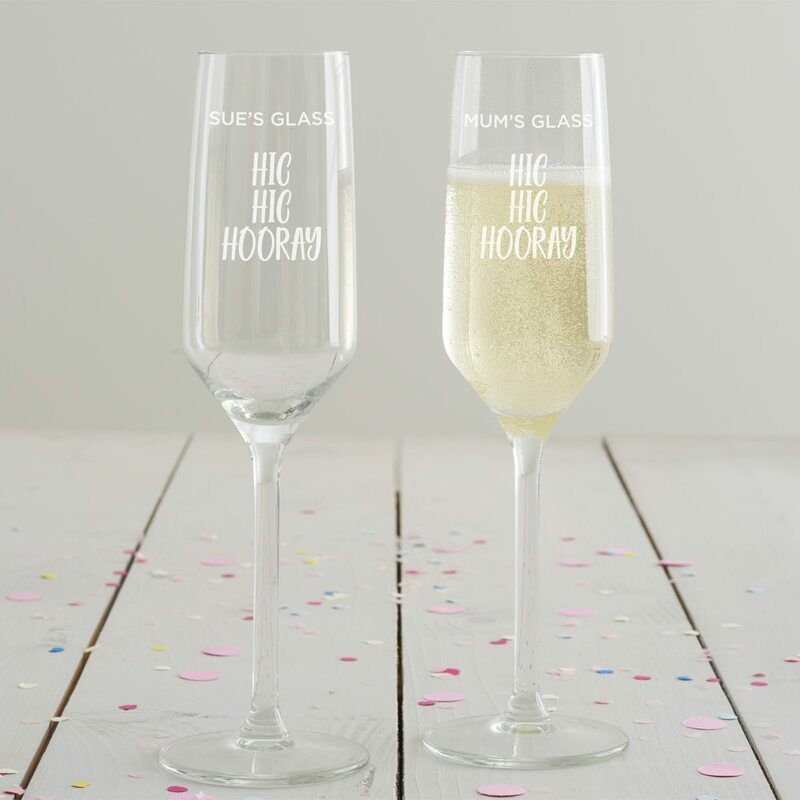 Help your mum celebrate Mother’s Day in style with this personalised champagne flute set. 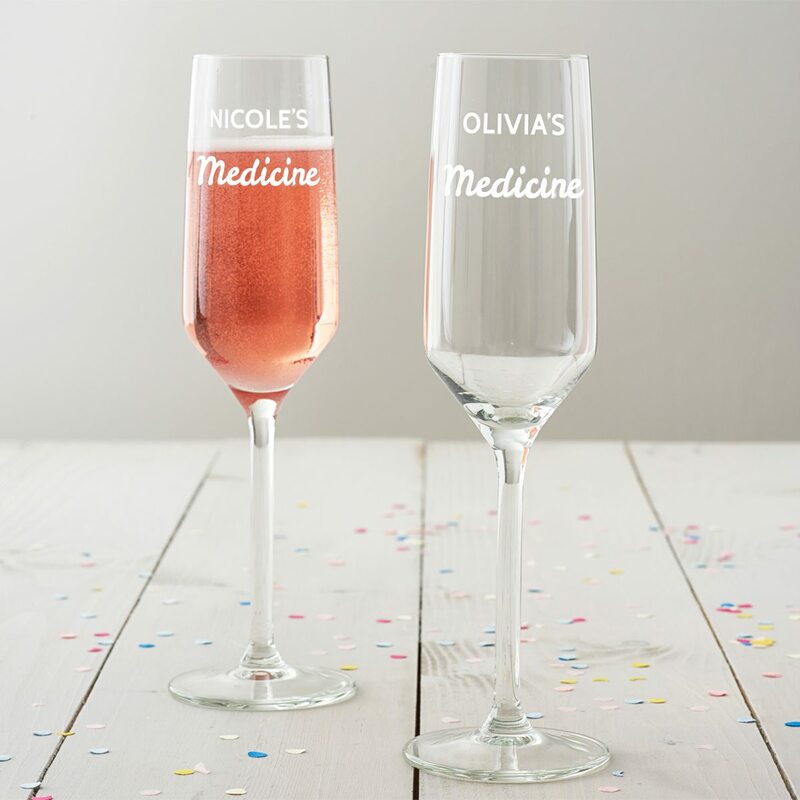 Champagne really is the best medicine so why not have a glass using our Personalised ‘Medicine’ Champagne Flute! 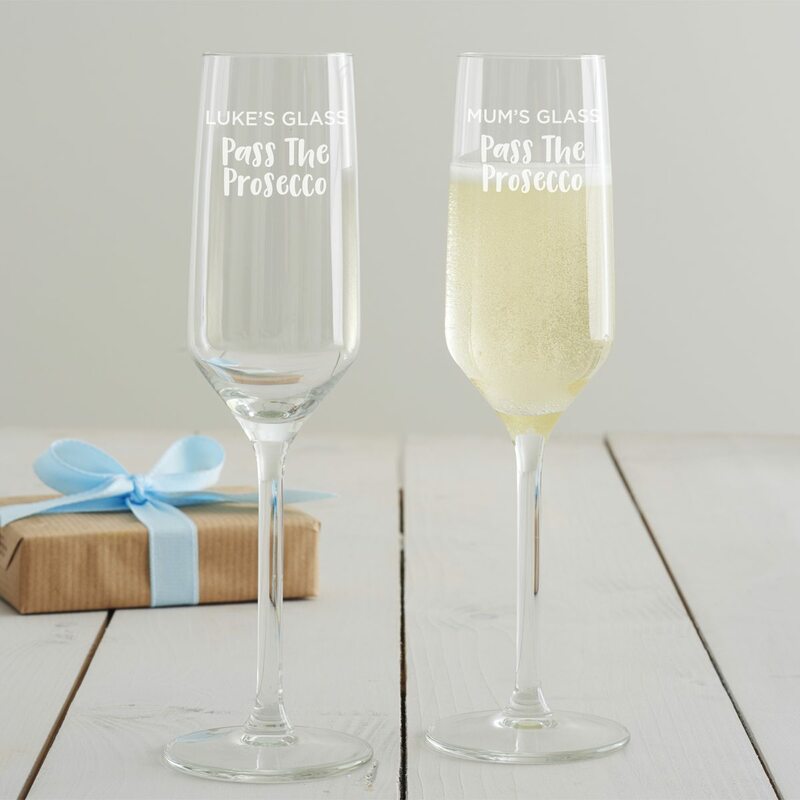 This personalised flute is the perfect gift for prosecco lovers. 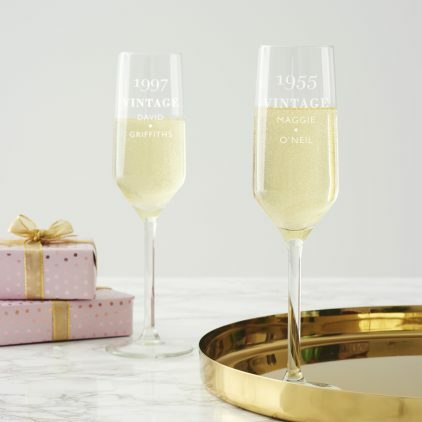 Create an original gift with this personalised champagne flute. 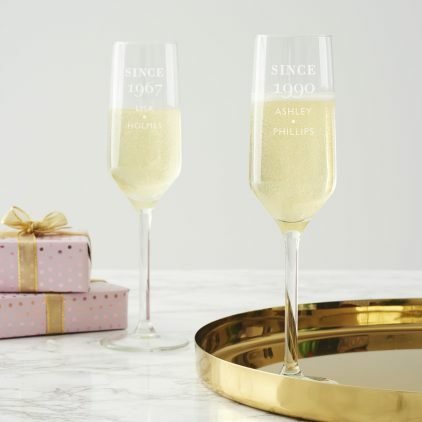 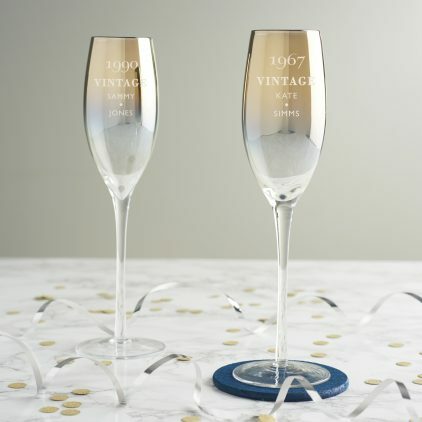 Toast the special year of a loved one with our personalised ‘Since’ birthday champagne flute. 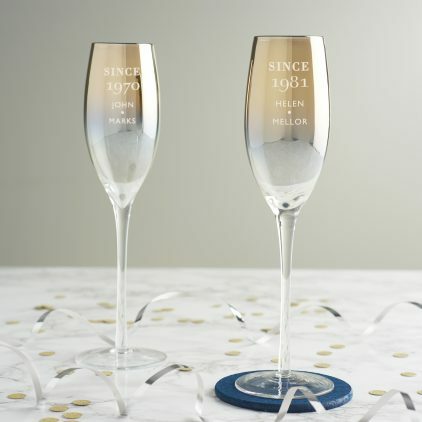 A personalised champagne flute for a special glass of bubbly on a milestone birthday. 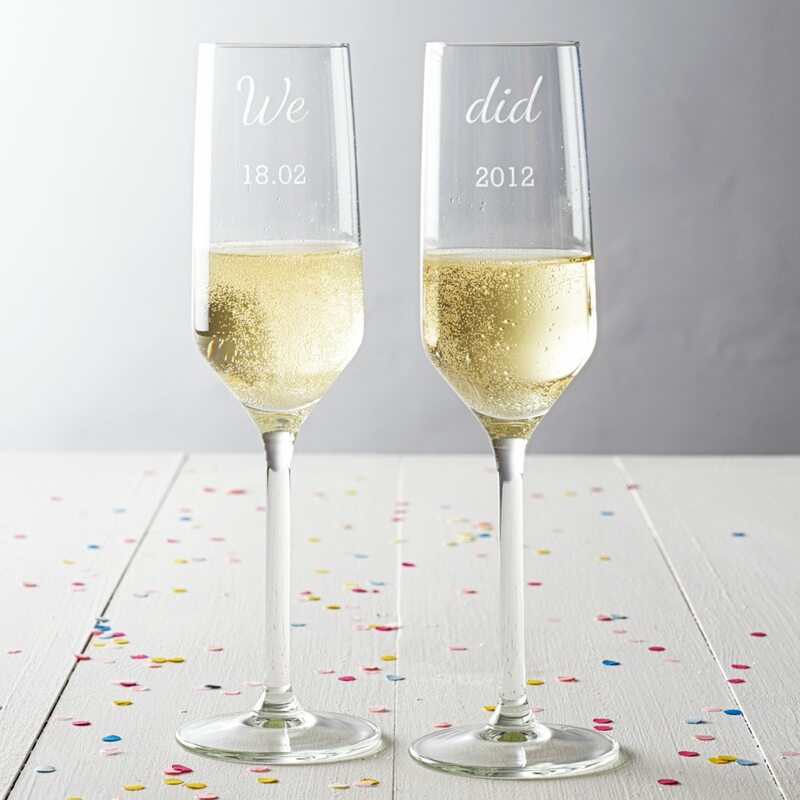 Our ‘We Did’ anniversary champagne glasses make the ideal gift for any couple as they can be personalised. 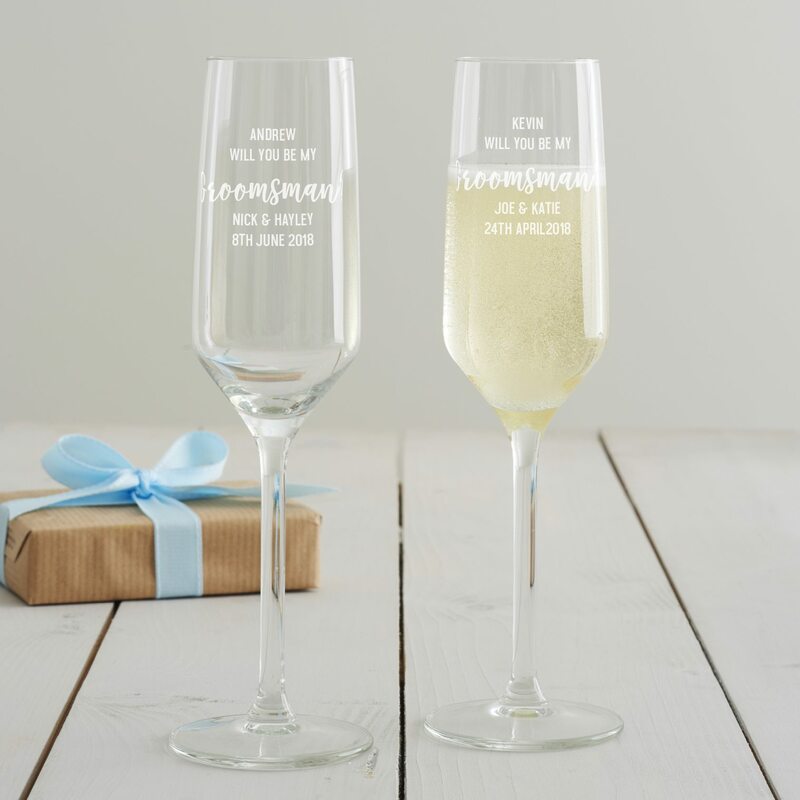 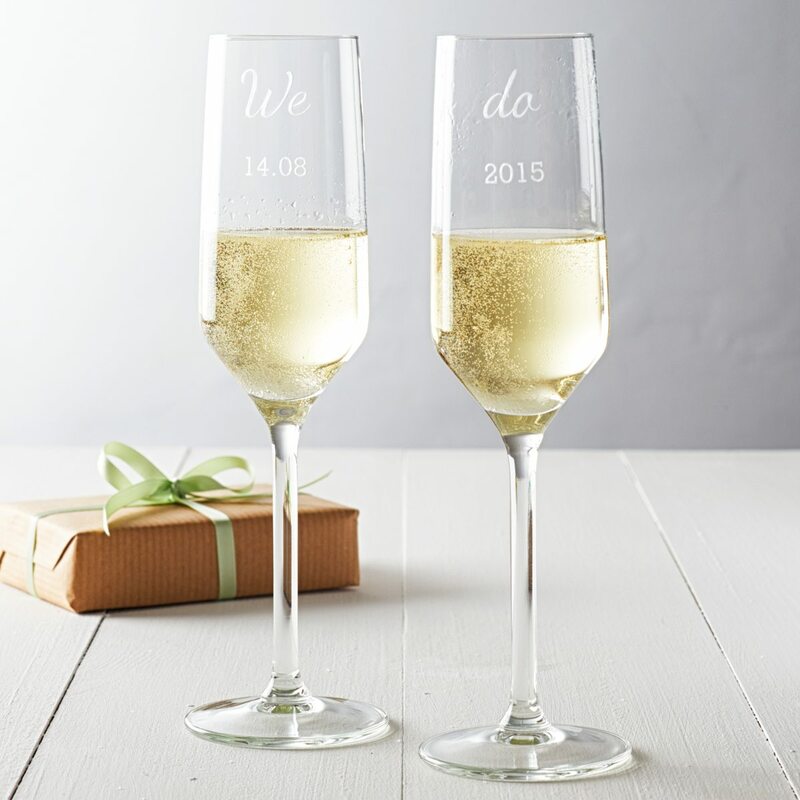 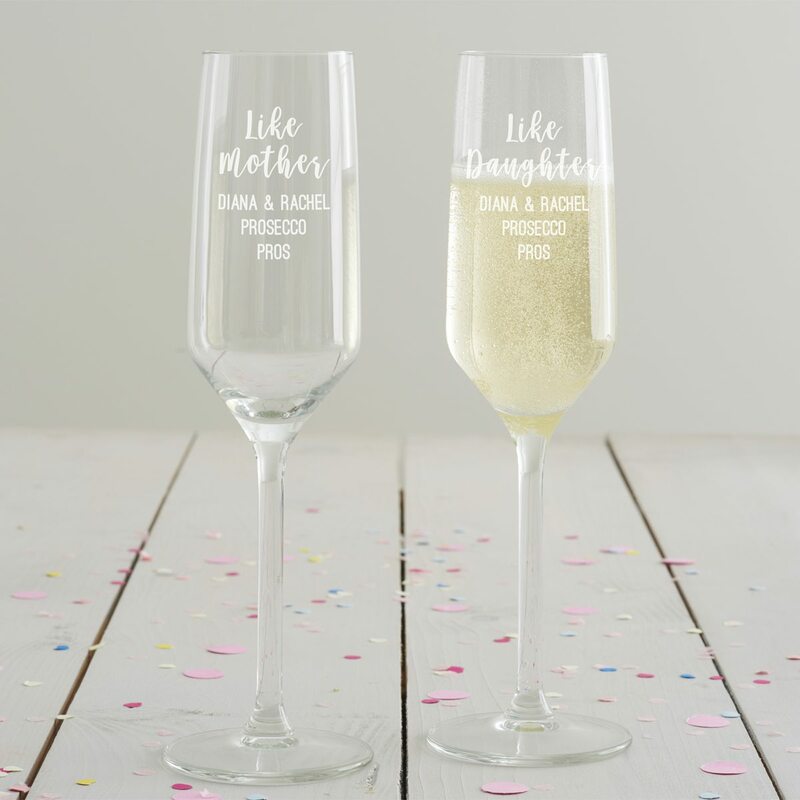 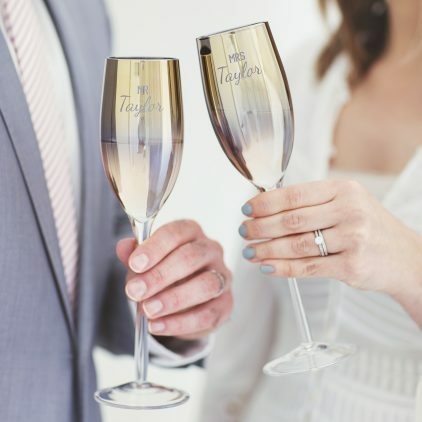 Our ‘We Do’ wedding champagne flutes make the ideal wedding gift as they can be personalised with the date of the special day. 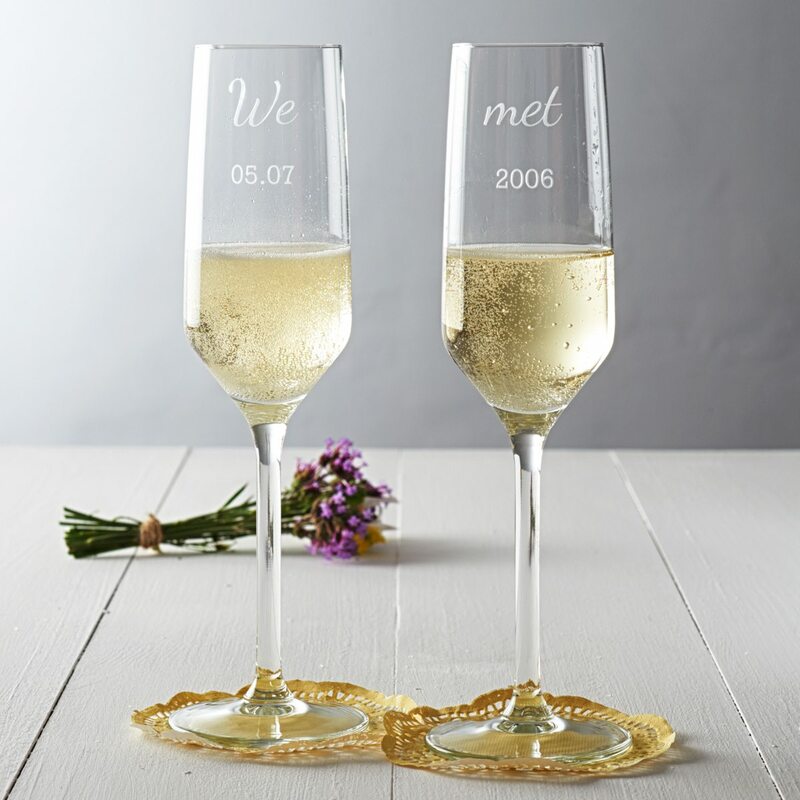 Our stunning ‘We Met’ personalised champagne flute set can be etched with a special date. 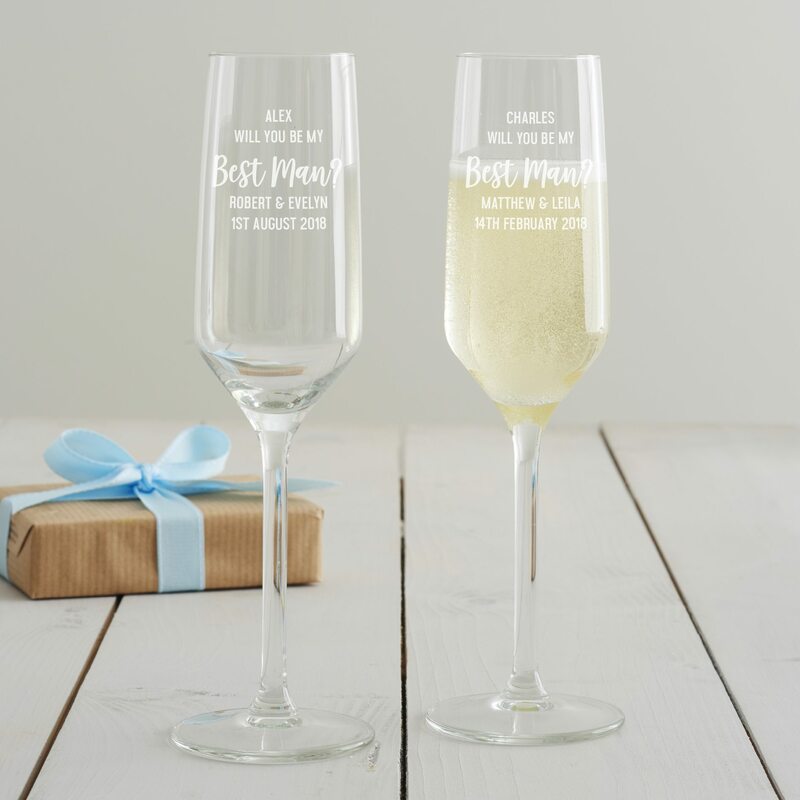 A personalised champagne flute designed to help you ask your best pal a very key question! A personalised champagne flute designed to help you ask your favourite girls that important question. 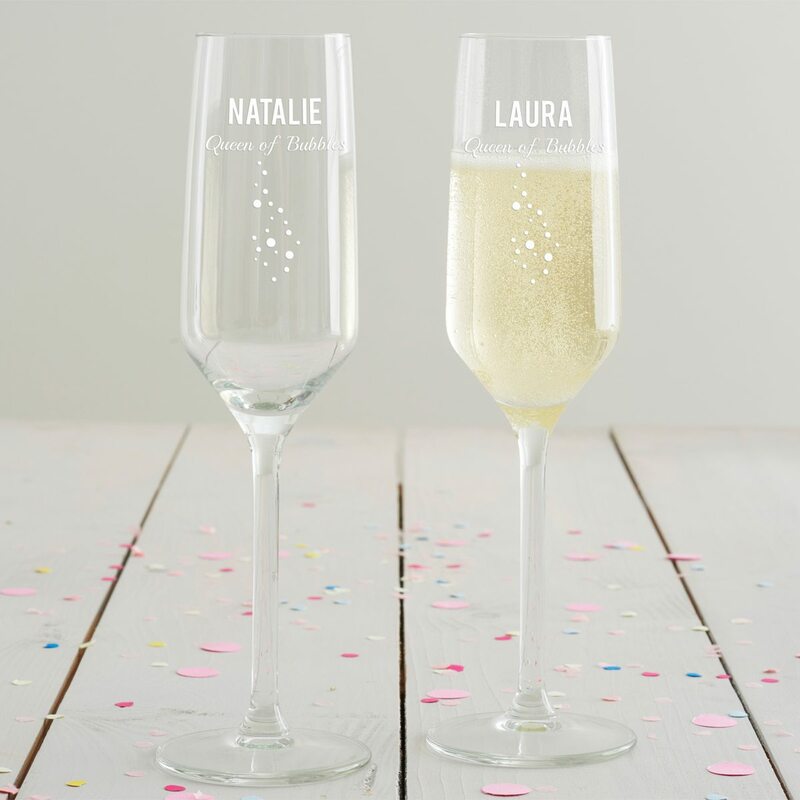 A personalised champagne glass, guaranteed to make the recipient say ‘Yes!’ to a very important question. 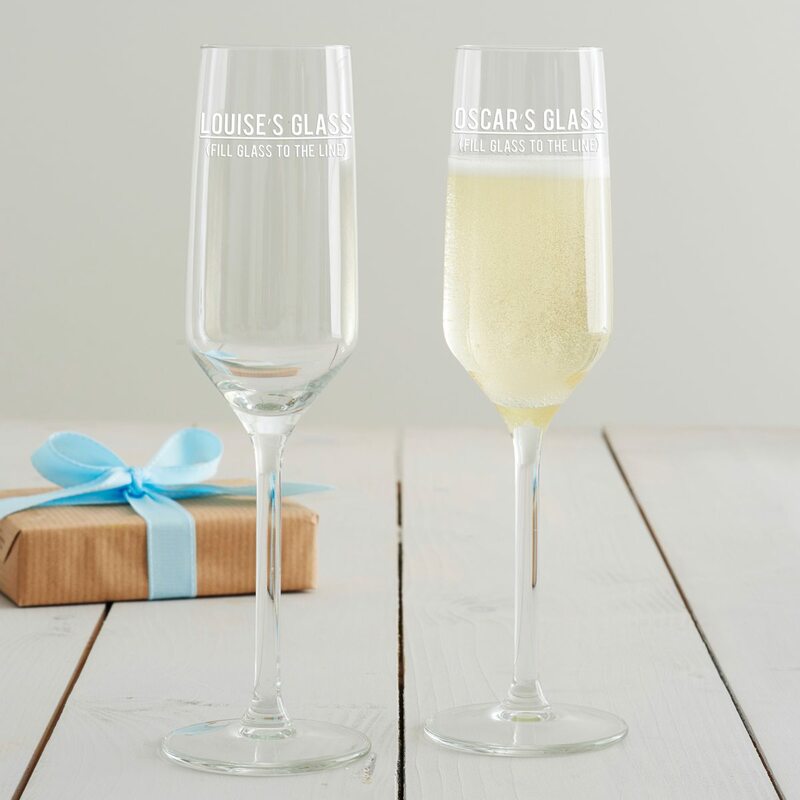 What better way to ask your friends or family members to be your groomsman than with a personalised champagne flute?